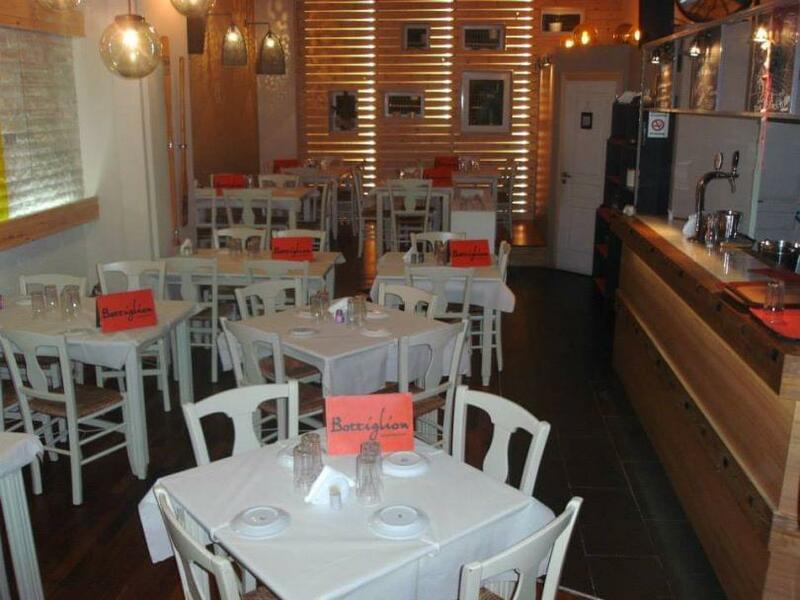 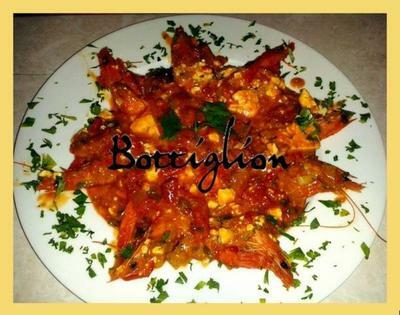 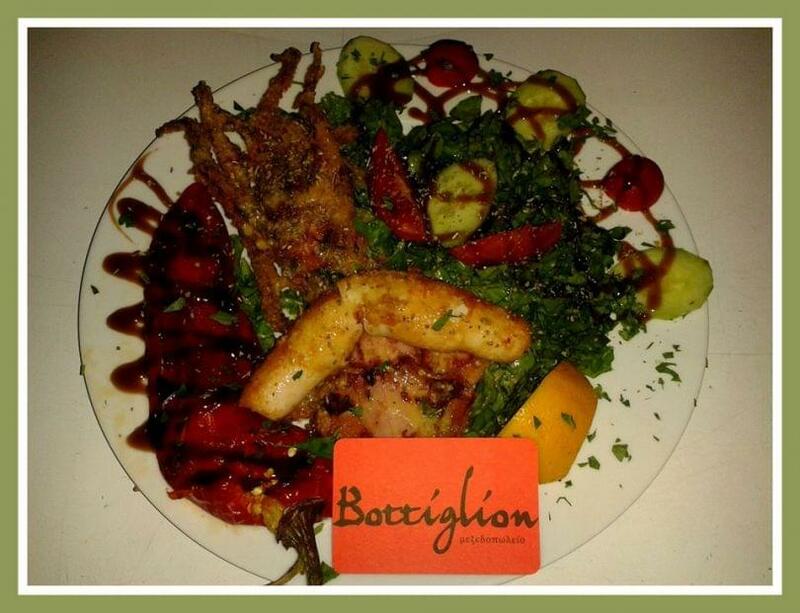 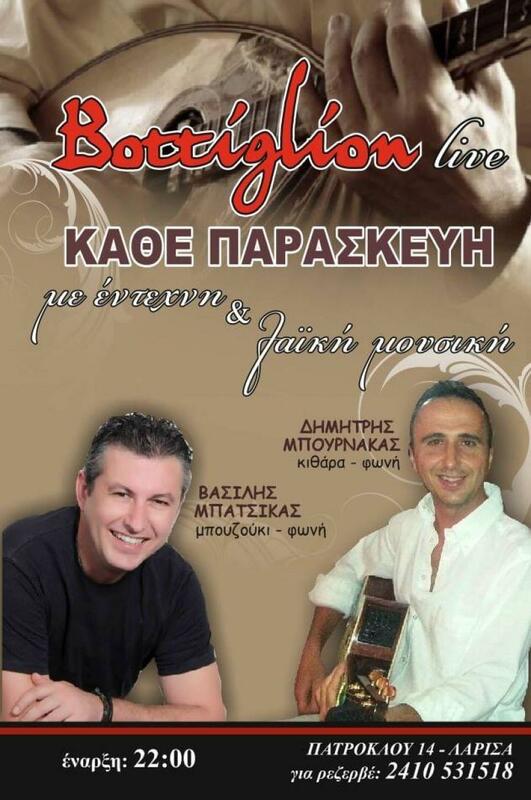 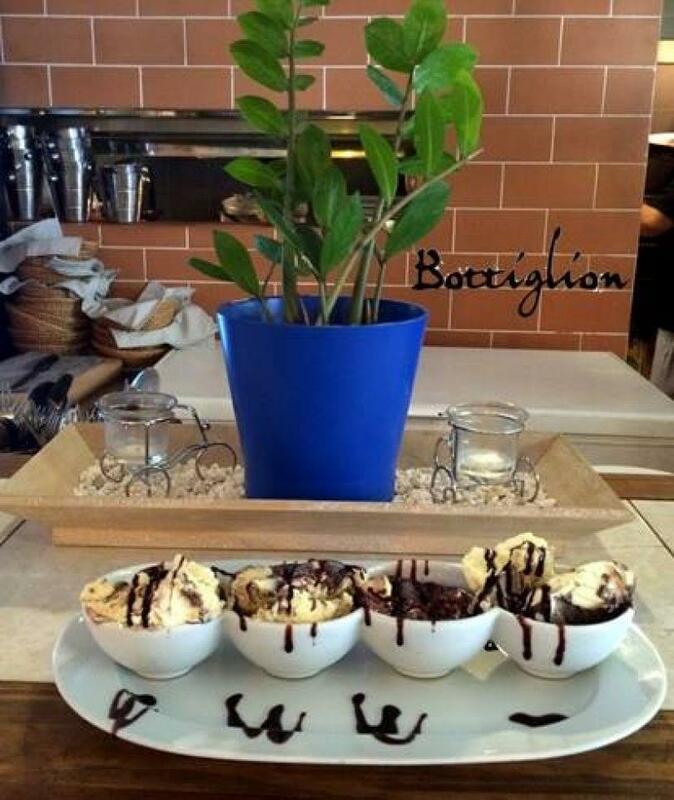 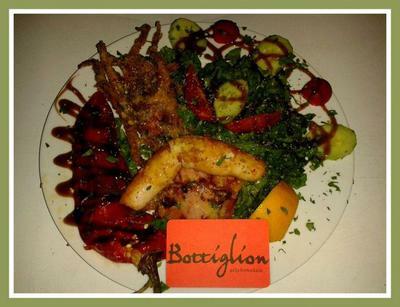 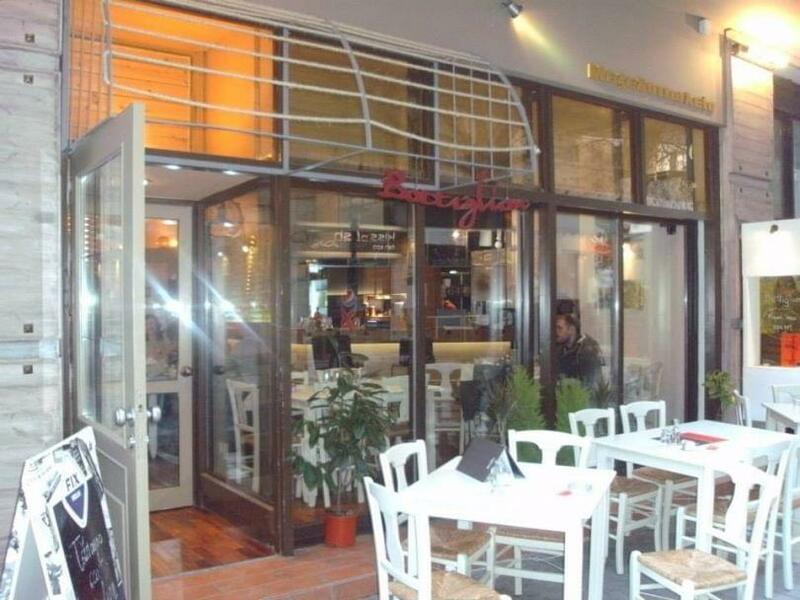 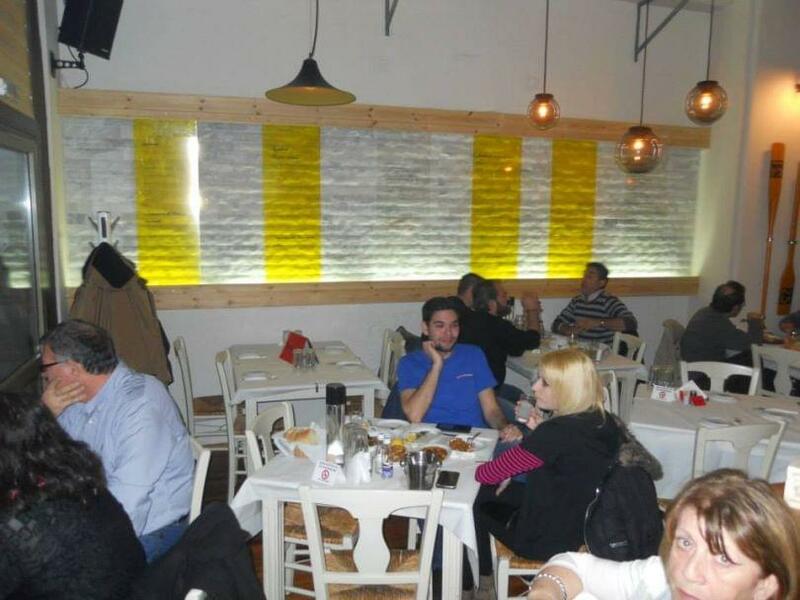 Bottiglion is a greek restaurant tavern in Larissa, with greek, mediterranean cuisine and seafood. 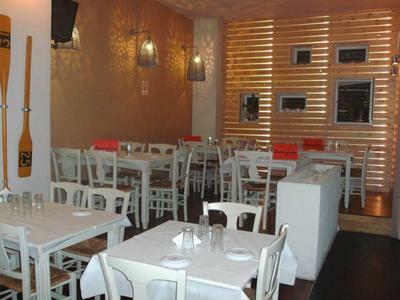 This restaurant was created with passion and concerns every customer that look for something special. 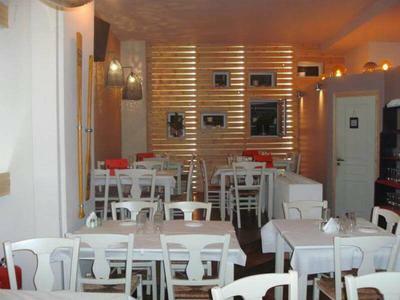 The decoration is cosy and simple while the menu is made from traditional products, chosen with love and respect. 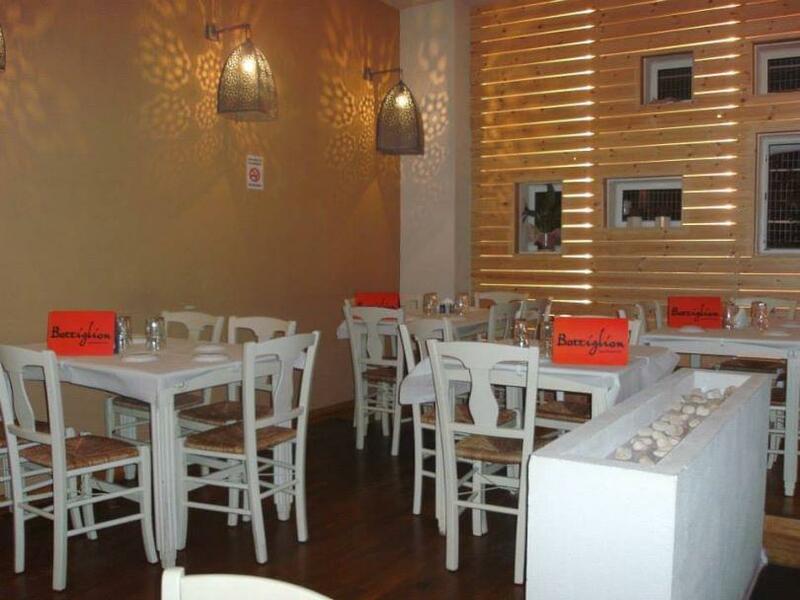 You can enjoy mezedes, spicy dishes, fresh seafood and extraordinaire spécialités made by the experienced chef Achilleas Mitsakos. 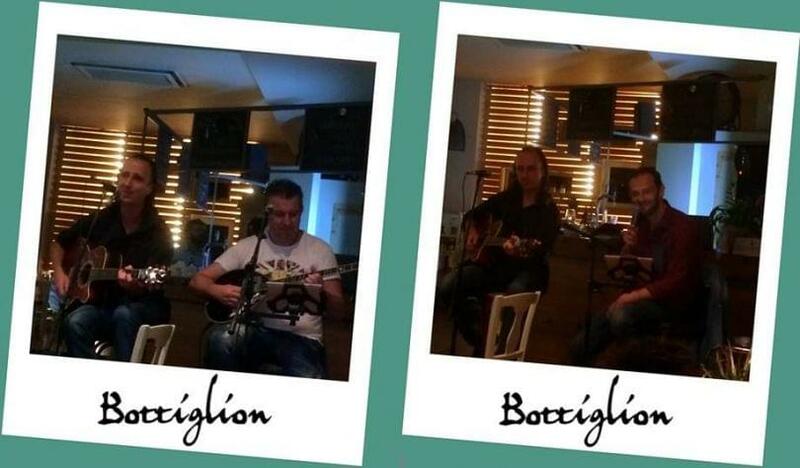 All nights are not the same at Bottiglion. 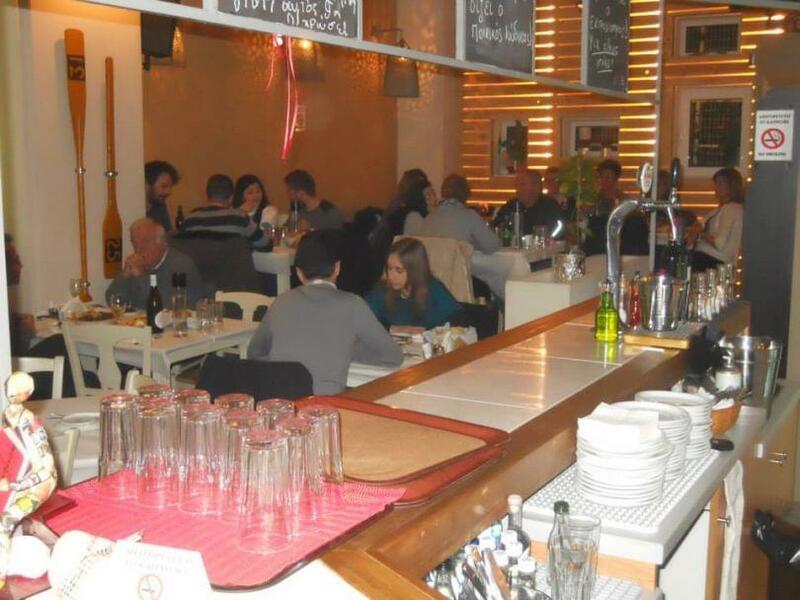 The restaurant hold live greek music concerts so you could enjoy singing with your company. 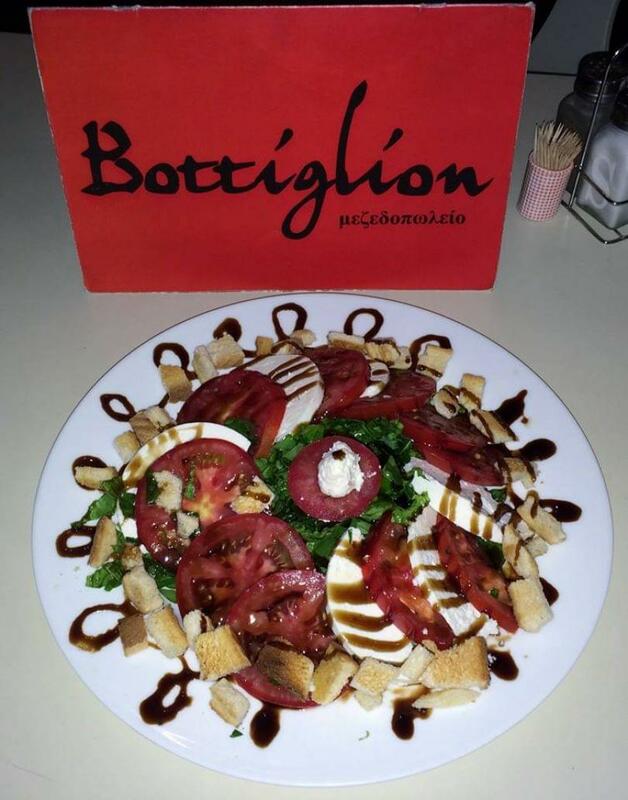 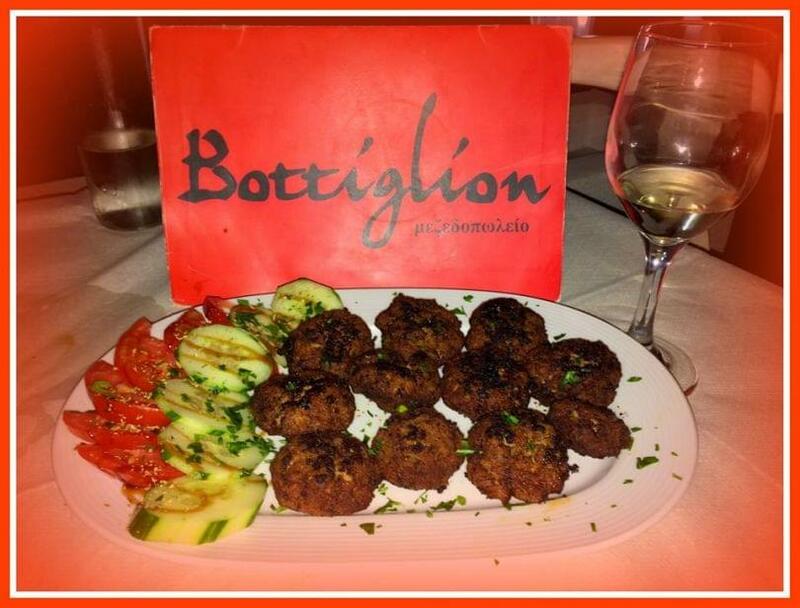 Some things are simple… Bottiglion know to make them special.